I'd like to tell you a little about the patterns. I use 20lb. white paper for the pattern pages. The covers are printed on colored paper. I use whatever looks best with the photograph. They come with a photograph glued to the cover. The patterns are in a plastic zip-top bag. They are printed book-style but I don't staple them together. 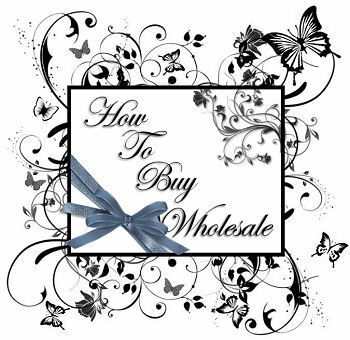 Before you can place a wholesale order you must provide proof that you will be selling them at your business. A web site or store address, business card, and resale or tax number will do. I ask that your first wholesale order be for at least 10 patterns. These can be all the same or a mix of patterns. Subsequent orders can be for whatever you need, even just one. If you decide you want my patterns the cost will be half of the retail price plus shipping. If you purchase an assortment of my patterns and find certain ones don't sell, you can exchange them for other patterns as long as they are in new condition. I don't feel you should be penalized for helping me sell my work. I will take checks, money orders, or paypal. I will send the patterns out within a few days of receiving the order. If I can't send them out right away I'll let you know what the problem is. I will email you to confirm I received your order and when the package goes out. Please note that I don't keep printed patterns on hand. I print them as I need them that way if a mistake should be found I haven't wasted paper or ink. Orders will be sent via the U. S. Post Office. Postage costs are whatever the post office charges. There are no handling fees. If you ever receive a pattern that is missing pages I will send them to you or the customer. You choose whichever is best for you. I really hope you'll consider having my patterns on your site or selling them at your store. If you want the jpegs of the pictures to use on your site I can send them by email. If you need to contact me, please use this email address: bjh150@, please put hotmail.com after the @ or the info found at the bottom of the page. I've written the email address this way in hope of avoiding the spambots. If you don't hear back from me, it may be that my spam filter caught your email so please try again.